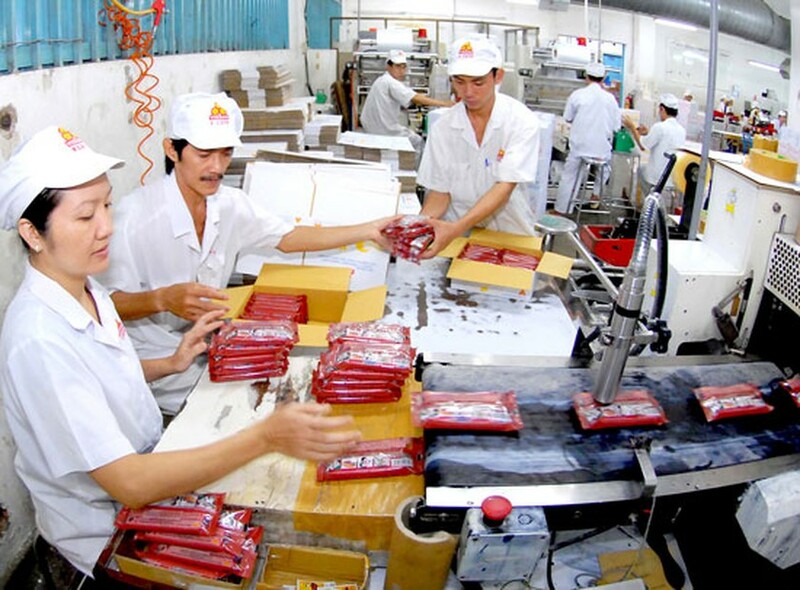 Ho Chi Minh City’s implementation of measures to solve difficulties, especially in capital and consumption market, for businesses has yielded positive results this year, said Chairman of the city People’s Committee Le Hoang Quan at a Tuesday meeting. A report on city economic growth said that consecutive increase in industrial production index for the last eight months is one of positive signs of the economy. In August, it increased 6.5 percent, up from 5.5 percent a year ago, he added. Industrial structure changes towards increase in the ratio of manufacturing and processing industries and gradual decrease of mining industry, the chairman said. Four key industries including mechanics manufacturing, electronics, chemical-rubber-plastics and food processing grew 7.5 percent over the same period last year. Director of the Department of Planning and Investment Thai Van Re said that 15,071 new enterprises were licensed as of August 20 with a total capital of VND82 trillion (US$3.87 billion), a fall of 12 percent in quantity and an increase of 3 percent in capital. During the same period, 241 foreign invested projects were licensed with US$1.06 billion, down 7.3 percent in quantity and up 80.3 percent in capital. Consumer Price Index was under control. Exports increased and broadened to several markets while imports reduced, especially from China with a reduction of 7.4 percent. According to reports of the People’s Committee, most seaports are effectively exploited. State revenue reached VND171 trillion (US$8.04 billion) in eight months, accounting for 75.42 percent of estimates and up 16.25 percent over the same period last year. HCMC will continue speed up measures to solve difficulties for businesses; especially in capital, space and technology; in the rest months this year, said Chairman Le Hoang Quan. Measures to practice savings and fight against waste in budget expenditure will be carried out synchronously. The city will crack down on behind schedule and idle projects by cutting or reducing capital for them, chairman Quan emphasized. On the same day, he chaired another conference on socioeconomic development and public investment plan in 2016-2020. HCMC will strive for average economic growth rate of 9.5-10 percent per year in 2016-2020. GDP per capita will reach US$8,430-8,822 per year by 2020. Chairman Quan instructed related agencies to arrange capital for key social welfare projects in this phase.